So I think I have been here long enough to semi-not-exactly-sort of jump on the Texas bandwagon errr should I say covered wagon? 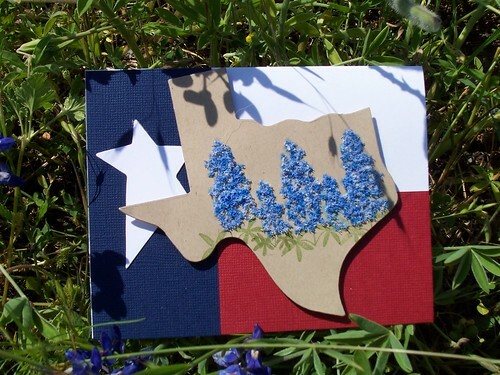 I am not in love with Texas but this wonderful spring we are having as put me in like with Texas :) Of course once the memories of cool April breezes and bountiful wildflowers have melted into 100+ degree days of bathwater warm swimming pools and fire ant infested backyards I will change my opinion back to definite dislike. Yes, I am a fickle friend that way but hey there's a lot of Texas lovers out there to compensate for my fair weather ways. 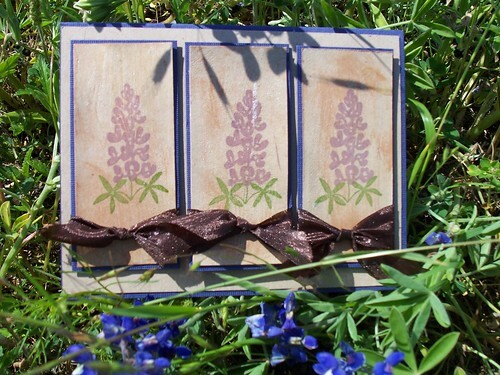 I utilized a lot of flowersoft for these cards. It's a really fun medium. I have had 2 pots for a year and never really used them other than trying them out the first day I got them. I added 3 pots of the new ultra fine flowersoft 2 months ago and still didn't use any. The wildflowers inspired me to pull these little gems out of my stash and use them. 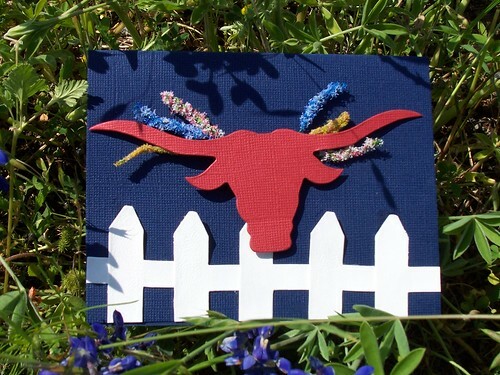 I paired the flowersoft with Deadbeat design stamps (3 bluebonnets), Accucut dies, some horse stamps and a few embellishments here and there. 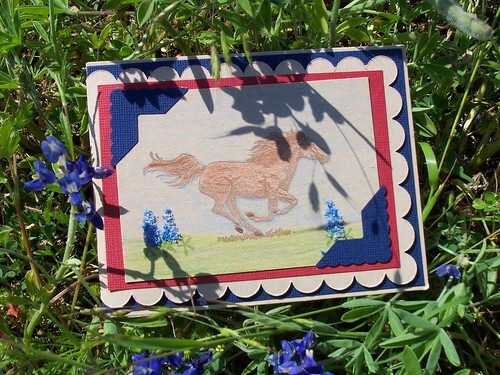 The small horse card: For some reason flickr does not like my file and I'm too lazy (not knowledgeable enough) to figure out why. 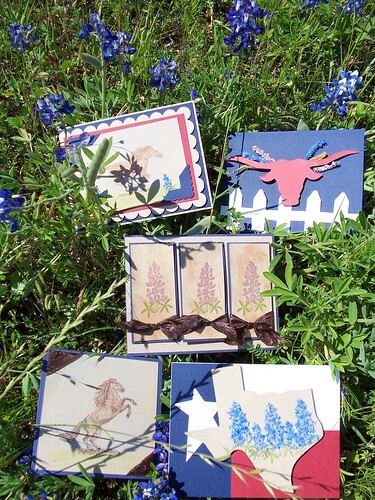 All five of these cards will be offered in a class at Felicia's Scrapbooks soon (end of May or beginning of June). Check their website or blog for class details.